Calculate how many rolls of wallpaper you need for your project by entering your room’s dimensions and coverage per roll below. Estimate the cost by adding the price per roll. To calculate how much wallpaper is needed for a project, follow a few simple steps. First, find the square footage of the surfaces to be wallpapered, determine the usable wallpaper per roll, then calculate how many rolls of wallpaper will be needed to cover the room’s square footage. The first step in estimating wallpaper is to find the square footage of the room. Square footage the measurement of a space in feet. You can find a wall’s square footage by measuring the length and height, and then multiplying them together. Make sure length, width, and height measurements are in feet before you multiply to find the square footage, it may be easiest to round your measurements to avoid working with inch fractions and decimals. For example, let’s find the square footage of a wall that is 12 ft wide by 9 ft high wall. If your walls are not simple rectangles or are complex then you can split up the wall into smaller chunks and find the square footage of each part separately, then add the square footage measurements together. For example, if your wall is not a simple rectangle, break it into different sections and measure the square footage of each section and add the different sections together. 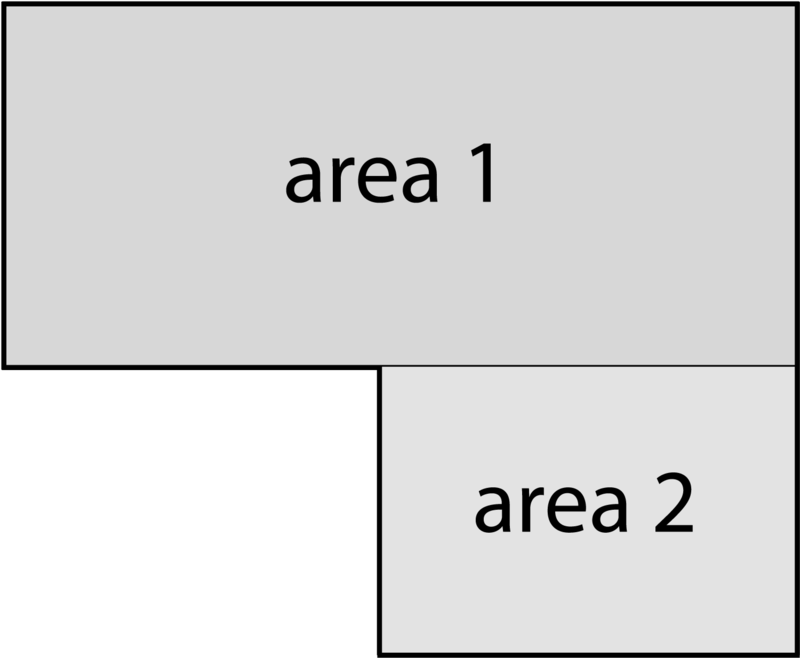 Illustration showing how to break up a complex wall shape into smaller pieces to measure. Once you know the square footage of each wall, add all them all together to find the total project square footage. Here’s a tip: try using our square footage calculator to easily find the square footage of your room. The next step is to find the usable coverage for your chosen wallpaper in square feet. Different wallpaper patterns have different amounts of usable square footage, which is determined by the drop pattern. When you drop the next section of wallpaper to align the pattern with the previous section there will be waste that needs to be cut to make the pattern line up. This waste reduces the usable square footage of the roll. The following are estimates of the coverage of different drop patterns. The final step in estimating wallpaper is to use the total square feet and coverage per roll to find the number of rolls you need. Find the number of rolls needed by dividing the total square footage by the usable square footage per roll. For example, find the number of rolls needed to cover a room with 350 sq ft of walls using rolls that have 25 usable square feet. rolls = wall sq. ft. ÷ usable sq. ft.
rolls = 350 sq. ft. ÷ 25 sq. ft.
We recommend ordering about 10% to 20% extra to allow for cuts and waste material. 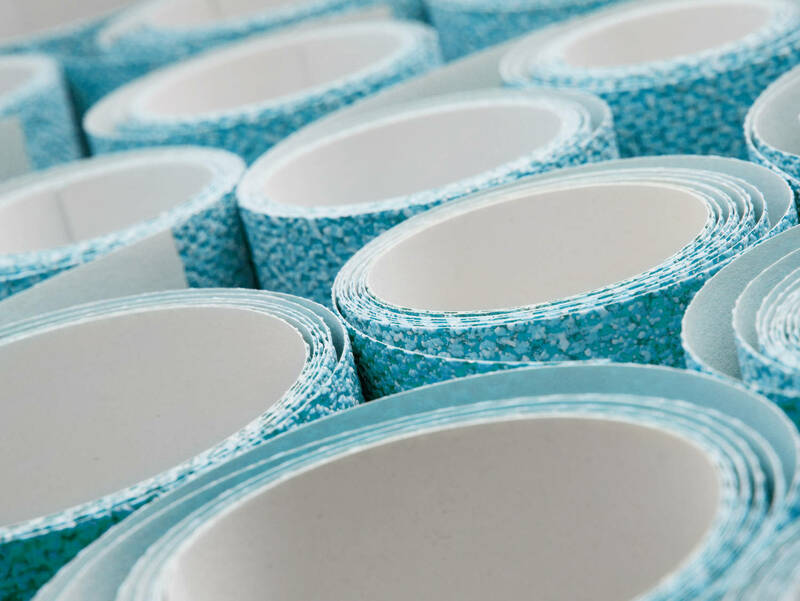 If you are fairly close to an even roll then it may be a good idea to order an extra roll to ensure you are not short on material. It might even be worth ordering some extra to allow for future patches and repairs, if needed. If you’re also doing some painting in this space, you might be interested in estimating how many gallons of paint you’ll need.